Welcome to BEST WESTERN Airpark Hotel!Our BEST WESTERN LAX is close to both the beach and the airport, making it easy to enjoy the surf and sunshine even if there's a flight to catch.There's no reason why your LAX hotel can't be both conveniently located and value-driven. Our Inglewood hotel is affordable, spacious and cool. Luxury bedding makes you feel right at home, and we pride ourselves on offering the best customer service in town. From a warm welcome to a fast checkout, we're all about making your trip as enjoyable and seamless as possible. 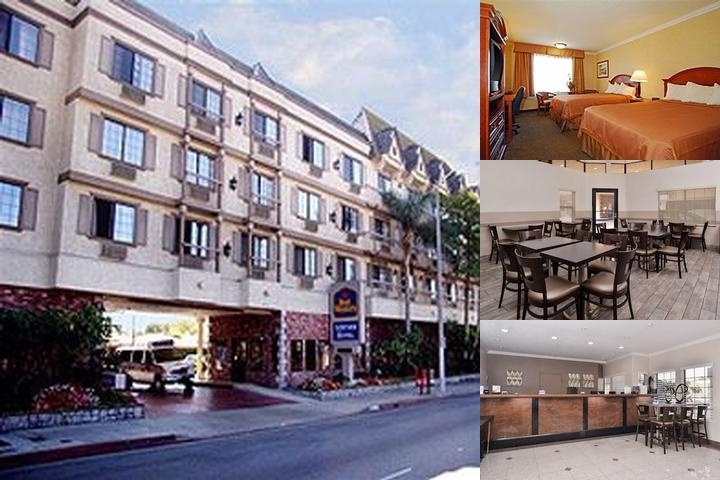 If there's anything more we can do to make your trip better, just ask and we'll do everything we can to oblige.The BEST WESTERN Airpark Hotel LAX Airport is just a few minutes away from the airport, and many of our guests are frequent flyers or on an extended layover. Beach proximity is another big reason why many vacationers stay with us. Don't deal with the LA traffic if you have a flight coming up. You can be close to the airport and still a short distance from the golden beaches at our Inglewood hotel.Your BEST WESTERN Airpark Hotel is also close to the Hollywood Walk of Fame, a favorite stop for many vacationers. From sporting events to Hollywood Park Casino and the Hollywood Bowl, all of the attractions in LA are nearby. Try out the famous restaurants, go shopping, or experience Mann's Chinese Theater for yourself. Manns Chinese Theater are in the neighborhood, and tours depart daily from our Inglewood hotel. Take a trip to DisneylandÂ®, Universal StudiosÂ®, Knott's Berry FarmÂ®, or Six FlagsÂ® Magic Mountain. The San Diego Zoo and SeaWorldÂ® are also an option. If you prefer a more authentic experience, we're also located along bus lines, and it's simple to get around the area from our Inglewood hotel. Book your next stay at BEST WESTERN Airpark Hotel and enjoy the best location in town! Enjoy your stay. 24 Hrs.prior to your arrival day for individual.Group require's to cancel 2 weeks prior to their arrival day. Shuttle is available to Airport 7/24/365Every hour on the hour for drop off.For pick up call from courtesy phone at the airport.